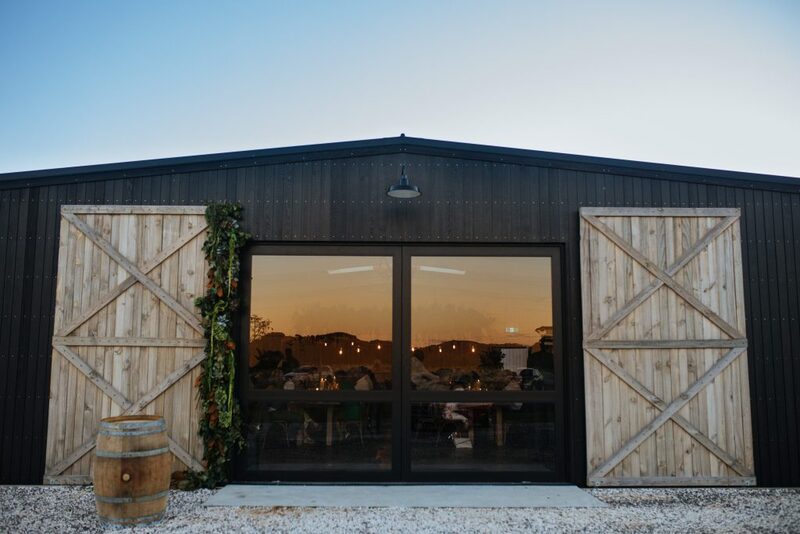 If you’re hunting for a beautiful vineyard-based venue near Auckland, but you’re struggling for time to attend a viewing — The Hunting Lodge have you covered. We get it, you’re busy with the day-to-day shenanigans thrown at you. You need to get out to your shortlisted venues, but time, well that’s a rare commodity in today’s day and age. What if we told you, you could take a break, a walk, drink some wine, and check out a potential wedding venue? You’d definitely clear your calendar for that, and we would too! 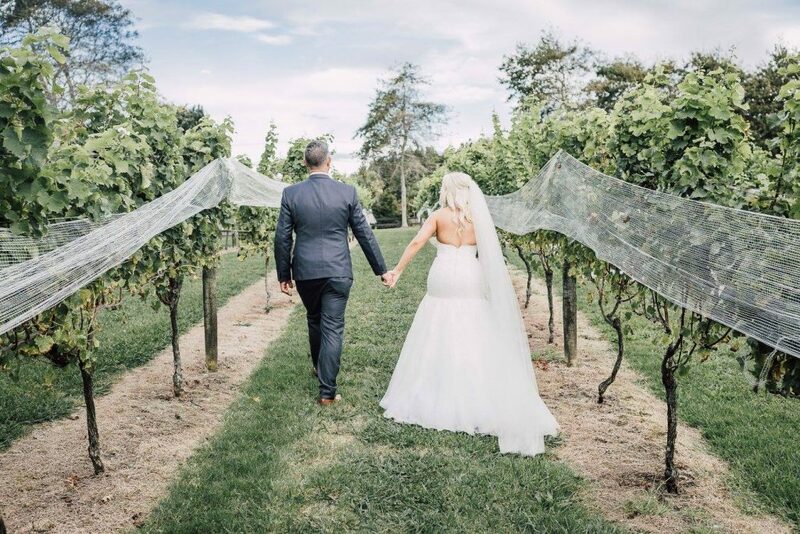 On Tuesday March 27, The Hunting Lodge – a Kumeu-based vineyard venue – are hosting a Wedding Walk, and Wine event — an hour-long venue tour, where you will be treated with wine produced in-house, walk a handful of picturesque potential ceremony locations, you’ll meet their award-winning executive chef Des harris, and go over all of the spectacular features their venue has on offer. There are two sessions available; 6pm and 7pm. Hi Alex, tell us what your business is all about? The Hunting Lodge is a unique 80-acre estate with plenty to offer with a café, restaurant, event spaces and roaming gardens. We have our own bottling works and vineyard which we use to produce our own range of wine. Where are you located and how long has the venue been in operation? Our unique 80-acre estate is located just 35-minutes drive from the CBD in the heart of Auckland’s wine country. The history of The Hunting Lodge goes back to 1868, so almost everyone in the area has a yarn from over the years. The current owners’ story goes back to the ‘70s, seeing their children grow up among the vines. Tell us more about the Wedding, Walk and Wine event. Our event gives couples an opportunity to tour all of the potential ceremony spots across our picturesque location including our iconic barn which was custom built with weddings and receptions in mind and provide a showcase of what we can offer to make their wedding a day to remember. There is also opportunity for couples to chat with our award winning Executive Chef Des Harris (previously Executive Chef at Clooney Restaurant) and his team about our exclusive catering options we have to offer. It’s great you noticed a need for this kind of event. How did that come about? We found that couples could either only see us on the weekends and the evenings, as these are the times when we are often busy with events or rehearsals we found it could be beneficial to have a night where we can do our wedding walk with several couples instead of just one at a time. Thanks for talking with us Alex, good luck with the event. If you would like to attend, contact events@thehuntinglodge.com or head to the Facebook event here. Otherwise, you can head straight to their listing and make an inquiry, here.